Henry was born in Grand Rapids, Mich., on October 15, 1892 and moved to Kent, Wash., 17 years later. A graduate from the State College of Washington (1920) (now Washington State University), Henry continued his education when he received his Masters of Arts (1926). He then went on to perform additional graduate work at the University of Washington and Stanford University. After his completion of higher education, Henry began his career in education at Colfax High School as a teacher (1920-22) and then became the principal of the Bulldogs (1922-25). He then became the principal at Enumclaw High School (1925-29), Lewiston (Idaho) High School (1929-34), and Vancouver High School (1934-50). Henry was also the secretary of the Whitman County Athletic Association (1924), a member of the WHSAA Board of Control from Southwest District (1936-50), and a part-time secretary of the WHSAA (1948-50). He was the First Executive Secretary of WHSAA and Washington Officials Association (1950). While Henry was a WIAA Board Member, junior high schools admitted to full membership in the Association (1944-45). Henry was also on the Board when it passed that no state championships would occur unless at least 40% of the member schools played in the sport (1946). Effective September 1947, athletic accident insurance was made compulsory; and at this same time registered officials only were to be used in first team football and basketball games. In September 1952, the first games of 8-man football were included. In 1946, the Representative Assembly authorized the sponsorship of a State Officials Association. As secretary, the use of lime to mark football fields was prohibited (March, 1948), and basketball and football game limitations were adopted (October, 1948). 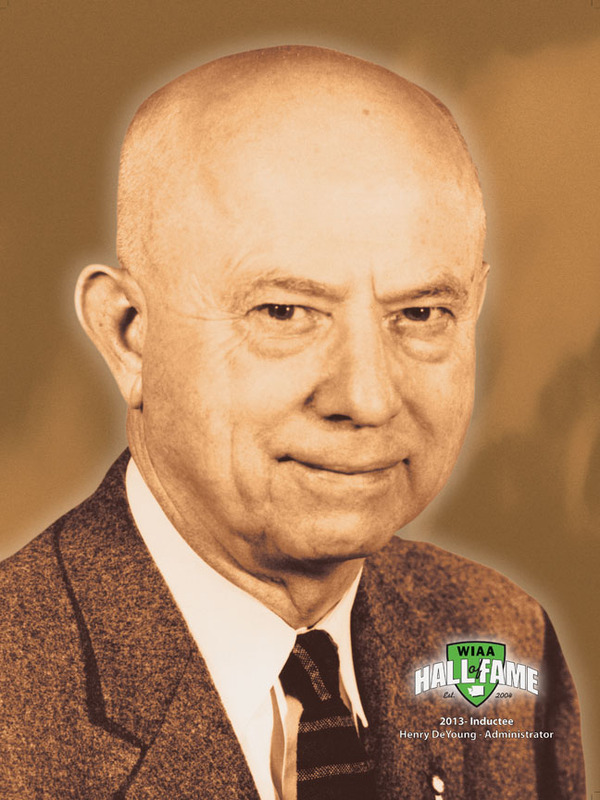 On July 1, 1950 a full time office of the Association was established and Henry was named the WIAA Executive Director, which he remained until 1963. In 1956, the signature of a school board secretary or clerk had to appear on the membership blank to indicate that the school board had approved having a local high school join the Association. The Association sponsored repeal of permissive county and city admissions tax (March, 1957). In September of 1959, the WIAA approved music and forensic rules and regulations effective July 1, 1960. Regulations for regional-type tournaments in Class A were drawn up for the 1964 season (1962). Henry was also affiliated with Kiwanis Club; Plymouth Congregational Church; and Phi Delta Kappa, Washington Education Association, Washington State Secondary School Principals’ Association, and National Association of Secondary School Principals.